Design, not defects, cause most problems for new cars. These days, when owners experience a problem with a brand new car, it rarely has to do with something breaking. Most of the time, it's a designed-in problem that can't be fixed. According to J.D. Power and Associates' latest Initial Quality Survey, actual defects - meaning things that broke or malfunctioned - were the problem only about a third of the time. Two thirds of the time, owners simply had trouble with the way something on the car worked or they were unhappy with some aspect of its performance. The challenge for automakers is that, as customers demand more features on their cars, those new features create more opportunities for trouble because they sometimes fail to meet owners' expectations. "Automakers are investing billions of dollars into designing and building vehicles and adding technologies that consumers desire and demand, but the risk is that the vehicle design, technology within the vehicle, in some cases may not meet customer needs," said David Sargent, vice president of global automotive research at J.D. Power. J.D. Power and Associates latest Initial Quality Survey asked 83,000 new owners detailed questions about any problems they might have experienced with their vehicles. This year, for the first time, General Motors (GM) was the the top-quality automaker, bringing home eight awards. The survey only dealt with 2013 model year cars. That means the top ranked model among large cars, the Chevrolet Impala, is actually "last year's" car, not the newly redesigned 2014 Impala which has been praised by car critics. 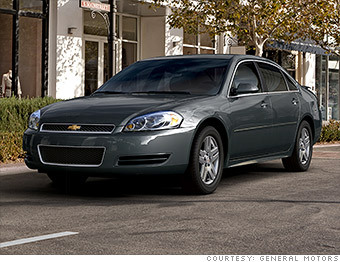 It remains to be seen whether the new Impala, which has many new features, will do as well in next year's survey.